Are you tired of worrying about all your IT problems? Let us help you today. Most businesses need computer systems and applications to function and grow their business. These systems and applications need to be monitored, managed, and protected correctly. If these systems aren’t functioning properly, then you can’t work. If you can’t work, then you can’t earn money. IT is a full-time job in itself. Not many businesses can maintain their IT systems alone. Not to worry Intelligent Technical Solutions is here for that reason! Learn your business and the technology you need to help it run successfully. Come up with solutions that you need in your current technical problems. Monitor your network and technology in order to keep it safe and secure. Respond fast and efficiently to any tech questions that you may have and support your tech needs. It’s time that you sit back and relax when it comes IT in your business. 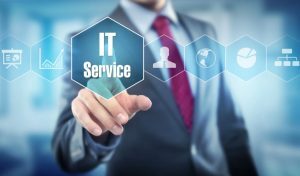 Contact Intelligent Technical Solutions today and we’ll take care of all of your IT needs and solve any problems that may, or already have come up that you can’t currently solve!